The Fourth of July can be hectic. Don’t leave home without our list of the best stuff to do this holiday. If you’re the type of person who loves all things red, white and blue and can’t wait to get out and celebrate, then you’re in luck. The Art&Seek Calendar has a megalist of Fourth of July fun, including a guide to fireworks, just waiting for you and the kiddos. Here’s a handy-dandy list of what night the displays happen in your area. Sachse’s Red, White & Blue Blast! McKinney Red, White and BOOM! Everyone loves a parade! The famous Lakewood Parade started way back in 1964 with just a few neighborhood kids on bikes. Since that time it’s expanded to include the whole neighborhood, and some say most of East Dallas. The theme this year is Lakewood Honors Heroes and it kicks off on Saturday at 10 a.m. at the intersection of Lakewood and Cambria in East Dallas. I’m told there’s a strict “no squirt guns” policy, so consider yourself warned. Like your celebrations a little bigger? 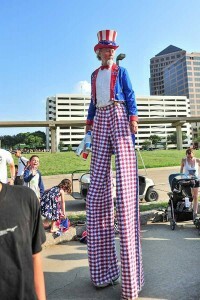 Check out Irving’s Fourth of July Celebration. Start the day with the city’s community parade (voted best community event by Greater Irving-Las Colinas Chamber) and then a free watermelon reception and concert at Heritage Park in beautiful Downtown Irving. After the sun goes down, head to Lake Carolyn for the evening’s festivities–a free kid’s zone, food trucks, and a spectacular fireworks show. 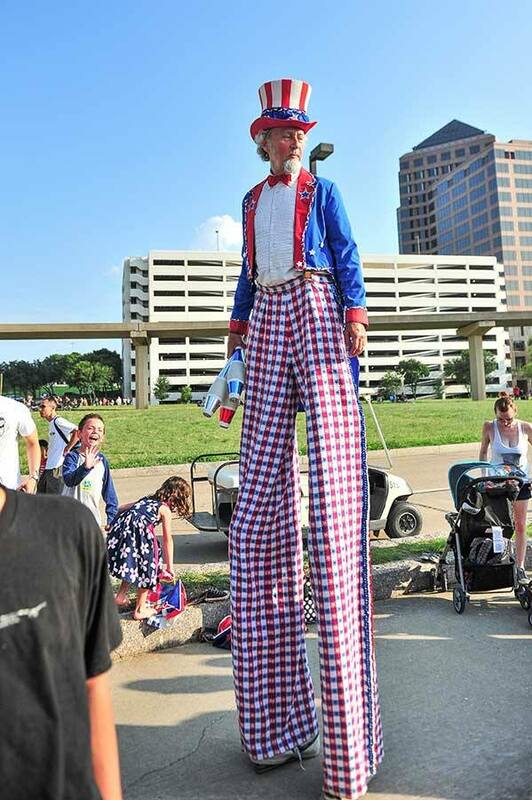 Word is, Uncle Sam himself will be working the crowd. Family, food and fireworks are on the bill at Southlake’s Star’s and Stripes Celebration on July 3, but there will be some pretty awesome fare for wee ones as well. Little kiddles can have the run of the Toddler Zone, give the inflatable slide or obstacle course a whirl, or try their luck in the gaming truck. For something completely different, dress up Fifi and Fido in stars and stripes and take part in the Patriotic Pooch Parade at the Collin County Farmers Market in Murphy. There will be doggie ice cream for the first 25 canine parade participants and prizes. Human friends get ice cream and pie after the parade. Speaking of pooches don’t miss the Second Annual Dachshund Dash. 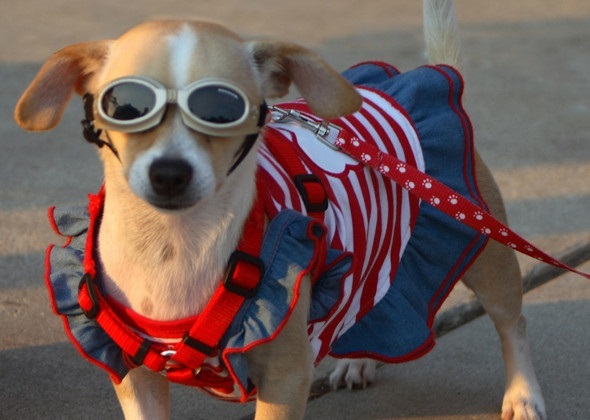 That’s right, weenie dogs will go for the gold in this warm up for the Hotter n’ Firecrackers 5K Thursday night at Frisco Square. 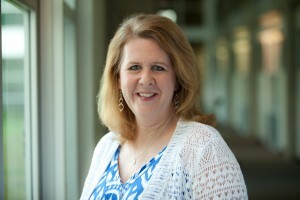 Both events are part of the 2-day Frisco Freedom Fest. 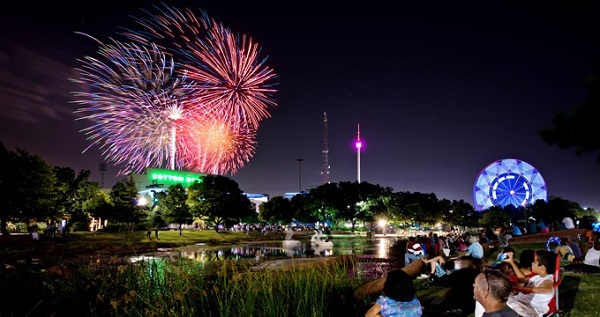 If patriotic music makes you proud to be an American, head to the Fort Worth Botantic Gardens on Thursday, Friday or Saturday for Concerts in the Garden featuring the Fort Worth Symphony Orchestra . You can sit on the lawn or reserve a table and listen to a medley of marches, salutes and songs of American heritage. Afterwards, enjoy a spectacular fireworks show. A word to the wise. Be sure to get to the Gardens EARLY to stake your claim on prime picnic space.